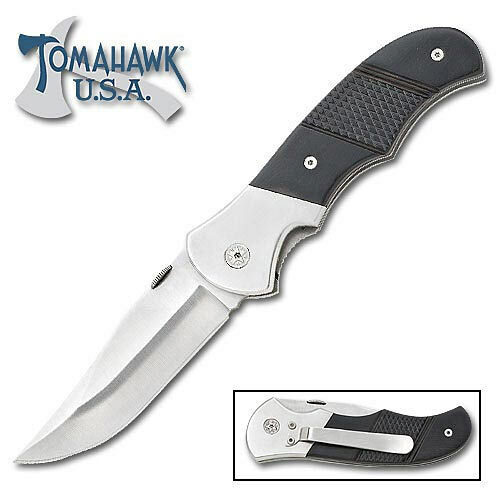 Tomahawk Shark Folding Knife | BUDK.com - Knives & Swords At The Lowest Prices! 3 or more only $3.00 each! This full size 8" folding knife is a real hand-full of cold, hard steel. With a blade that measures 3 3/8" of sleek stainless steel, and a thick, carved, solid handle to fit a real man's hand. Thumb stud provides easy one hand opening. Includes pocket clip.